Shows & Events | A.R.T. It’s a concert, it’s a party—with moments of divination—designed to bypass the crap and celebrate the knowledge of our bodies. The Moth StorySLAMs are steadily spreading all over the map, gathering people and stories from all over the country. After a premiere at the Ojai Music Festival in June 2016, Perle Noire spotlights Josephine Baker’s iconic songs. Unclaimed tickets will be released to a wait list at the door. A disco retelling of A Midsummer Night’s Dream directed by Diane Paulus. Join us at Mos Oberon Cantina, the watering hole where scum and villainy from around the galaxy come to see live music, dance performance, drag performance, circus arts, and burlesque. The Project Catapult Showcase is a live show featuring five new podcasts from public radio stations across the country. An artistic space created by queer, experimental artists that seeks to provide a safe and exciting environment to explore alternate possibilities of being. 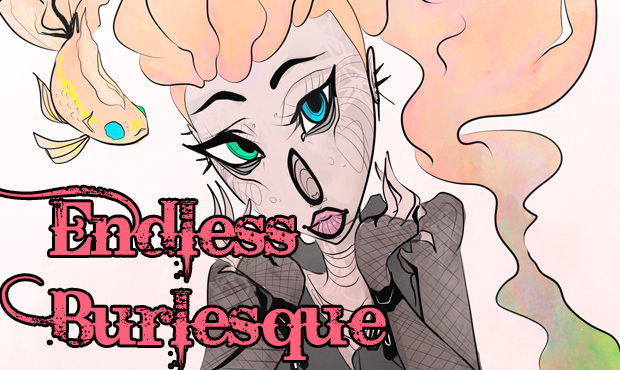 A burlesque and variety tribute to the sublime world of Neil Gaiman’s Sandman. Join the Women of Harry Potter & the Sacred Text for a night of blessing our favorite women of the Harry Potter Series! A Burlesque Exploration of Literature. The Boston rapper engages with audience in an interactive Q&A before performing her latest music. Strong and Bawdy Boston Arm Wrestling Dames will duke it out for the glory and for the Boston Abortion Support Collective! Come out and bribe the judges in favor of your favorite wrassler!